the marvel of a smile for good night via fairytale. The substances that form the basis of the fairytale book A SMILE for good night – Love, humanity, respect, decency vs. DEFIANCE. Do you also count yourself among the parents, who like to read fairytales to their children? Do you also love those shiny eyes looking at you with excitement and expectation? Did you know that by reading fairytales you can start a purposeful communication with your child even though they’re overcoming the important period of defiance? The fairytale world is everchanging. Changes take place in terms of technology as well as in the topics of fairytales. Despite these changes the reading of fairytales is still being perceived positively, moreover, it holds the most significant place in the fairytale world. Reading fairytales provides children, parents, grandparents and friends not only with a nice time spent with the loved ones, the feeling of warmth, safety and kindness, but also with room for education and correct upbringing. The people, who know the power of fairytales, choose the books to read for their children very carefully. Given the fact that the good is expected to triumph over the evil in a fairytale, besides a pleasant experience, the stories should also present an element that motivates certain positive behavior and actions in children. Reading fairytales is significant not only for the development of creative aspect of personality and child’s fantasy, but also for the enrichment of their vocabulary. It also helps the child to concentrate, think, but most importantly it provides the space for communication between the child and the parent, or the child and a close person, it strengthens the relationship, and creates the feeling of trust and safety. Dear parents, does this sound familiar to you? ”I don’t want to! I won’t eat it! I won’t say it! I won’t do it!“ Does it seem to you that your children don’t listen to you? Does your community politely remark to you that your little pumpkin does not respect you and has you eating out of their tiny hand? Do you often find yourself in a situation, when you excuse the behavior of your child saying: “He/she hasn’t slept today yet, that’s why he/she is nervous“ or “Maybe he/she’s hungry, that’s why he’s so grumpy“. Why does the child behave so negatively despite the heaps of your love that they’re embraced with? Try to introduce your little child to a friend Surppy, who will help you to explain some situations that us adults handle naturally and easily. Via the short stories of Surppy, the Bunny we will provide an additional guidance for your child to see the principles of kind, respectful and decent behavior, so that their reaction to everyday situations would be natural and adequate. Naturally, we can’t expect a three-year-old child to react the same way as a five-year-old in a certain situation. The important thing is that they will know how the others react in a similar situation. When a child encounters a situation they’re familiar with, they’ll feel safe and the overall social behavior and approach changes accordingly. Do you also count yourselves among the parents, who like to read bedtime stories to their children? Do you love that happy little face of your pumpkin all wrapped up in the kingdom of duvets, impatiently waiting for a bedtime story? I’m sure you know that they are, in fact, waiting mainly for you! Do you love when they demand your presence and your smile? Grant yourself that magical time of evenings spent together with your child and smiles for good night. The fairytale book A SMILE for good night is a collection of bedtime stories. 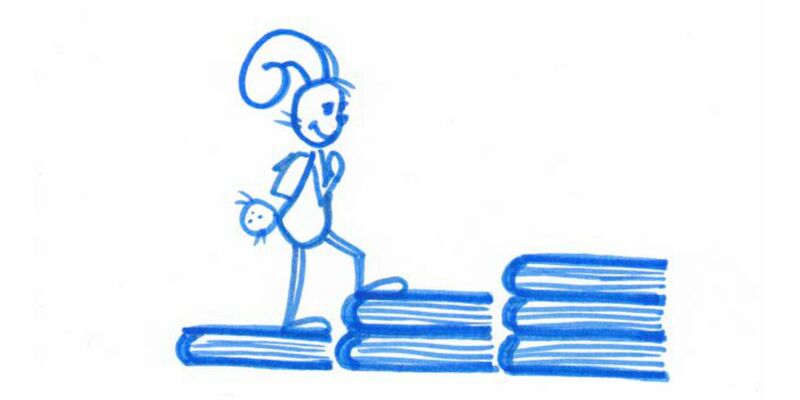 The protagonist of the book is a mischievous bunny Surppy, who came from Surpriselandia to visit us. Little bunnies in Surpriselandia do not obey their parents and then they’re surprised that no bunny has smiled in a very long time. The stories also involve a character of a little boy, who teaches the bunny to be kind, human, respectful and decent. At the end of each story the little boy rewards the correct behavior of the bunny by means of non-material reward – a smile, which in return, creates a smile on the bunny’s face as well. 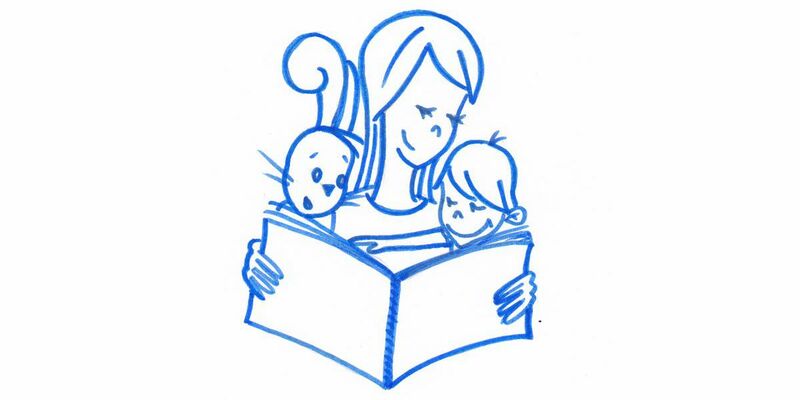 The children can actively join the rewarding and evaluate the behavior of the bunny using a bookmark picturing Surppy the Bunny which is a part of the book. The bookmark is reversible, one side pictures the surprised bunny and the other side pictures a smiling bunny. By means of the reward possibilities the children bring their attention towards the resulting behavior which is always correct, because, just as it usually happens in fairytales, the good wins over the evil. Children in early age can dedicate their concentration on an activity that draws their interest for a few minutes. 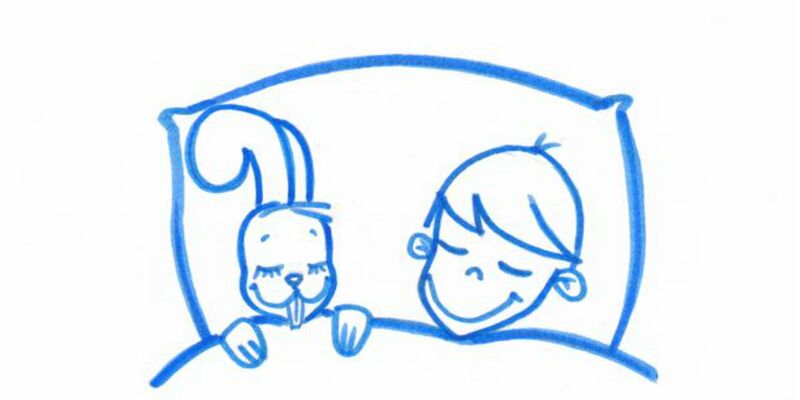 Fairytales in the book A SMILE for good night are short, simple, fitting and suitably illustrated. They can draw the attention of a child within a few minutes, offer an educational element, involve the child in the story and give them a chance to evaluate it simply using a bookmark, which grants the child an opportunity to become aware of the basis of the story. At the end of the day these bedtime stories will create a smile not only on your child’s face, but on yours as well.